"Great to work with! She was only designer that actually followed my requests. Great response too. She was by far the best of my designers. My biggest problem was figuring out which one to pick since she had so many great designs. " 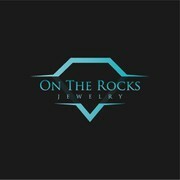 "Logo design for On The Rocks Jewelry. Great variety of design options from talented designers. We seemed to get stuck on certain elements and had a lot of designs that went all in a similar direction. Maja didn't follow the pack and took different appro..."
"Maja was great to work with and we will use her again in the future. She is very responsive and has a great can-do attitude. We definitely recommend her to anyone looking for design work." "Creative design from the start! Maja tried to stay true to my original request yet introduced ideas that were distinct from the other designers. She was open to changes and responded with more options to consider. Maja used a nice blend of colors and st..."
"Such an amazing, talented designer! I loved the work this designer did because she took criticism and gave me exactly what I wanted! I think she has a bright future ahead of her and I highly recommend using her work! AMAZING! LOOOOVE!!!" "Working with Majatota was such a pleasure. He is talented and accomodating. We highly reccommend him to anyone!" "Super designer, always in the best mood for making changes, great and fast communication we were very pleased on working with her." "Marijana was an EXCELLENT designer. Tireless in producing various iterations and coming up with creative logos. Would definitely work with her again!" "Very happy with the design and the process. Majatota was very accommodating and provided revisions and modifications quickly and to spec. Thanks for my design and a great experience on this site." 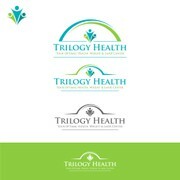 "Maja did terrific and original work on our logo. She was fast, responsive, kind, and enthusiastic about the project. Highly recommended!" 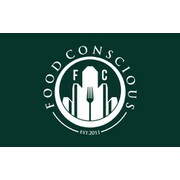 "Thank you Maja for the fantastic logo you created. You were a pleasure to work with, very responsive and fast with any changes we wanted to make - nothing was too much trouble. I would highly recommend Maja."